You’re a reporter or a blogger, and you’re on deadline. I get it. I’ll give you a fast articulate quote tailored exactly to your specific topic. Call 651-230-4240. If you don’t get an immediate response, hang up and redial within 30 seconds. That will get you straight through to me. Grab interesting material for free off of my blog. You have my permission. All I ask is that you properly credit Jeannie Burlowski and mention JeannieBurlowski.com in your article. To get straight to the most salient blog entry, google “Jeannie Burlowski” along with your article’s topic. Grab my high-resolution headshot if you need it. Grab a fresh, evergreen newspaper or magazine article from me right now. You’ll find it at bottom of this page. You may use all or part of it. Just be sure to properly credit Jeannie Burlowski and mention JeannieBurlowski.com in your article. I can give you 6 clear, articulate insights on how President Obama’s September 13, 2015 changes to the U.S. financial aid system will impact families. To get this information from me in the next five minutes, email me at JBurlowski@gmail.com or call me at 651-230-4240. I am a full-time author, academic strategist, podcaster, and speaker. I help parents set their kids up to succeed brilliantly in college, graduate debt-free, and move directly into careers they excel at and love. Formerly, I spent over 20 years helping students successfully apply to highly competitive law, medical, business, and graduate schools. I still do that from my site at getintomedschool.com. I am a professional public speaker and so make a sparkling, attention-getting guest for TV, radio, and podcast interviews. Permission for one time rights is granted. You may use all or part of the article or just a small quote. Please properly credit Jeannie Burlowski and mention JeannieBurlowski.com. Joni’s parents knew two things: they didn’t want her drowning in student loan debt after college, and they didn’t want her to spend her 20’s in a low-paying job that she despised. 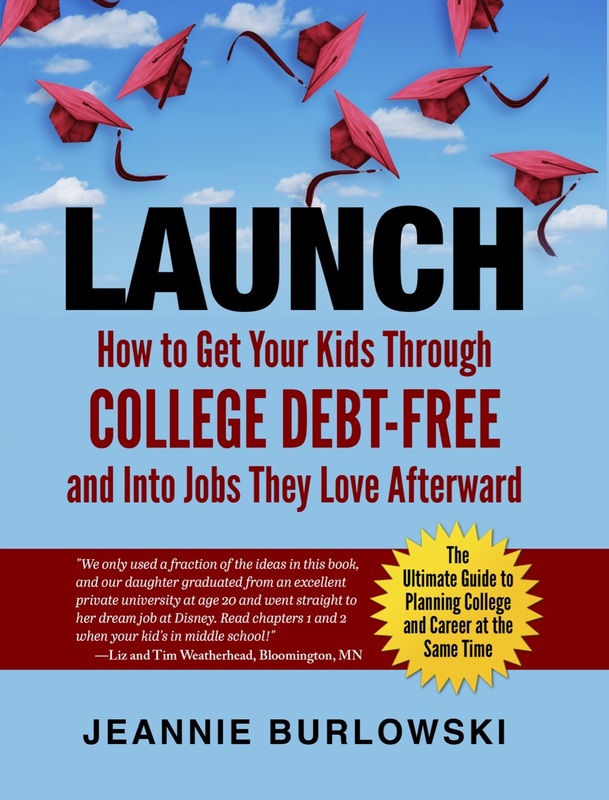 Determined to head off this nightmare scenario, Joni’s mom signed up for a live class taught by author Jeannie Burlowski, whose book LAUNCH: How To Get Your Kids Through College Debt-Free and Into Jobs They Love Afterward was released in January of 2017. Today Joni holds a bachelors degree from Carroll University that she achieved with only minimal debt. The best part of her story, though? Following her Carroll University graduation at age 20, Joni headed straight to California for a dream job with Disney. Burlowski stresses that the key is to start strategizing early, even if you can’t save a dime. Sign up for the free college savings program available at Upromise.com. You’re going to buy necessities like groceries and drug store items anyway, right? Sign up for a free account at Upromise.com, register your grocery and drug store loyalty cards there, and without doing another thing a percentage of every dollar you spend at these stores will be funneled into a special account that you’ll be able to use for any student’s college savings, current college-related expenses, or payment of Sallie Mae® student loans. Over 21,000 grocery and drug stores participate, and no credit card is required. Grandparents and other relatives can do this too. As early as possible, ask close relatives to reconsider gift giving. Grandma might decide to give her grandson a brightly wrapped package with a letter inside for each holiday and birthday. In the letter she tells him how much she loves him, what admirable good character she sees in him, how much potential she sees in him, how proud she is of what he’s accomplished the previous year, how excited she is to see him have a successful future, and that she has made a contribution to a fund where she’s saving for his college education. Any amount will help. To protect the child’s later eligibility for financial aid, Grandma should save this money in a 529 plan that she owns, with the child named as beneficiary. Parents, be certain you are providing for your own retirement every single month. Financial planners are adamant on this point. If worse comes to absolutely worse you can borrow money to pay for college. You cannot borrow money to pay for retirement. Work with your 6th grader to do a focused summer community service experience, and then have him write about that experience in a scholarship application before he starts 8th grade. Are you stunned that there are college scholarships that are awarded to 8th graders? Brace yourself; there are even scholarships that are awarded to students younger than that. Have your middle schooler start taking CLEP tests. Starting when your child is in 8th grade, go online to CLEP.collegeboard.org/exams/offered and view a list of every CLEP test available to students. Students who successfully pass CLEP tests earn real college credit for what they know – regardless of their age. Every single time your child finishes a middle school or high school class on one of these subjects, have him take the corresponding CLEP test and earn real, transferable college credit for what he’s learned. Not sure he knows enough to pass a CLEP test on the subject? Have him take a free CLEP practice test at practice-exams.free-clep-prep.com, and then if extra help is needed get free CLEP prep at education-portal.com/academy/get-credit.html. Strongly consider community college. “I’ve spent 20 years helping students get into medical school through my work at getintomedschool.com,” Burlowski says. “Contrary to what people tell you, students who attend community college aren’t disadvantaged professionally in any way later on. If parents haven’t planned ahead of time how to pay for college, their kids can live at home under parental rules, attend community college for 4 semesters, work feverishly and save money, and then enroll in an expensive private university as a college junior. Fill out the FAFSA form as soon as possible after October 1, every year that you’ll have a child in college the following fall. Don’t make the mistake of thinking that you earn too much to get free money financial aid for college. You can make over $200,000 per year and still get free money. Put your kid in the front of the line to be considered for 9 separate federal student-aid programs, over 600 state aid programs, and most of the college-based (institutional) aid available in the United States by filling out the FAFSA form. Always leave certain information off of the FAFSA form. For the question that asks: “What is the net worth of your parents’ investments, including real estate,” do not list the value of any (parent or child) retirement plans, pensions, annuities, or insurance policies (including whole-life insurance policies that may have cash value), and do not list the value of the home you live in. Many families leave thousands of dollars in financial aid on the table year after year because they include the value of these items when they answer that question. And if your family owns a rental property, lake cabin, or second home, don’t enter its market value. Instead, start with the property’s “quick-sale value.” (According to the IRS, “quick-sale value” equals 80% of the property’s fair market value, or what it could sell for quickly.) Then subtract any debt owed on it. That is the true value of this property for financial aid calculation purposes. 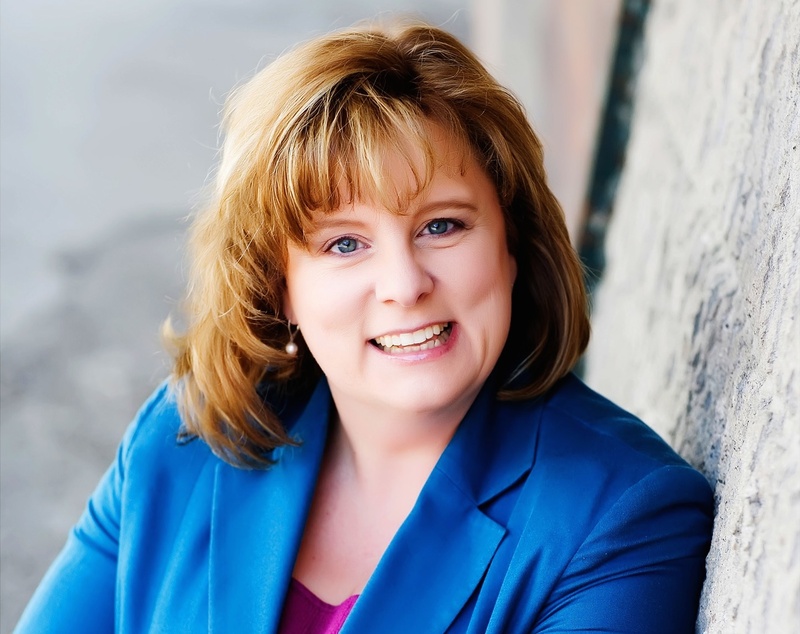 Jeannie is a full time author, academic strategist, and speaker. She’s the author of the book LAUNCH: How to Get Your Kids Through College Debt-Free and Into Jobs They Love Afterward. Jeannie’s writing and speaking help parents set their kids up to graduate college debt-free and move directly into careers they excel at and love. Her work has been featured in publications such as The Huffington Post, USA Today, NerdWallet, and US News and World Report. Where can I find the dates and locations of your 2016 workshops? Each week, check the left sidebar of my free weekly email newsletter. You can subscribe using the form on this site. My workshops are also posted under “Events” on my website. Alanea, Did you get your newsletter from me this morning? Workshop dates for April 23 and May 14 are on there. They are on my website EVENTS section too.